Gasco Habshan complex in Abu Dhabi ... serviced by Doosan. 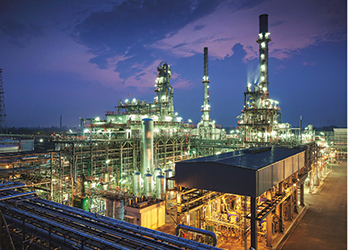 Doosan Babcock, a specialist engineering company, is on a mission to extend the lifespan of the region’s industrial infrastructure and had already secured a number of important contracts with leading players across a range of industries in the UAE. These include contracts with Emirates Steel, Abu Dhabi National Oil Company (Adnoc), Abu Dhabi Gas Industries (Gasco) and Taweelah Asia Power Company (Tapco). The company, which offers construction, upgrade and after-market services and technologies to the oil, gas and petrochemical industries, as well as the nuclear and thermal power industries, is currently working on three major long-term maintenance agreements (LTMA) – two with Gasco, which is part of Adnoc Group, and one with Tapco. “Under the five-year contracts (with Gasco), we will provide essential maintenance and shutdown services for a plant at Abu Dhabi’s Habshan and Bab complex, one of the world’s largest gas processing complexes,” Chris Behan, general manager UAE of Doosan Babcock, tells Gulf Construction. This contract is currently in the mobilisation stage prior to the site services commencing in the first quarter of 2016. In addition, Doosan Babcock has an eight-year maintenance contract with Tapco for technical support, parts, equipment, repair and maintenance, including outages on static equipment. The agreement will ensure the optimum performance of six thermal boiler units, five heat recovery steam generators (HRSG), 13 multi-stage flashing (MSF) water desalination units and 12 potable water tanks. The project team is currently executing the work scope related to the Winter Outages 2015/16. Behan says 2015 was an excellent year for the company in the Middle East. Besides winning major contracts, Doosan Babcock also opened a new office in the region. Part of Doosan Heavy Industries and Construction of South Korea, Doosan Babcock traces its origins back to 1891 when it was first established as Babcock and Wilcox in Glasgow, UK. The company set up its Middle East and North Africa (Mena) operations in 2013 and the opening of its Mena Engineering Consultancy Hub in Abu Dhabi last November was another milestone in its history in the region. The new facility is designed to provide a range of specialist engineering services to help customers in the power, water, oil and gas, petrochemical and industrial sectors maintain and extend the life of their plant. Doosan Babcock’s technologies and services today serve a range of sectors, including oil, gas and petrochemical, pharmaceutical, nuclear and thermal power, renewable energy and maritime. Originally, the company was established as a boiler OEM (original equipment manufacturer), however, with the arrival of nuclear power, from the 1950s onwards, services and technologies for the nuclear power industry began to play an increasingly important role in Doosan Babcock’s commercial operations – and continue to do so today. Many of the specialist engineering skills and technologies developed by Doosan Babcock over this period were applicable to a range of industries other than power generation, hence the company’s move into the North Sea oil and gas sector in the 1980s. More recently, customers in all sectors have increasingly turned their focus to deriving the best operational efficiency and performance out of plant, as well as extending the operating lifetime of existing plant, rather than invest in new infrastructure. For example, many oil and gas assets developed during the boom years of the 1970s and 1980s are still actively producing today, well beyond their intended lifespan, thanks to advances in oil recovery methods. At the same time, pressure to maintain the rate of production is mounting. This means that many oil and gas operators are increasingly looking to extend the life of their plant and increasing the rate of hydrocarbon recovery, according to Behan. 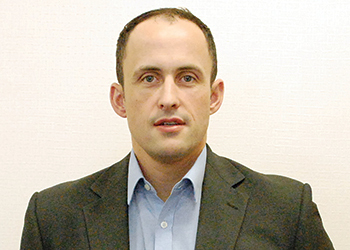 “This focus on asset integrity management and life extension is prevalent across all the industry sectors served by Doosan Babcock and our technological expertise has meant that we’ve been able to successfully respond to this with condition assessment and interpretation services, tailored asset lifetime strategies and risk-based programme for safe and compliant plant – all backed up by our specialist engineering capabilities,” he says. Doosan Babcock’s scope of activities is essentially building, maintaining and extending the life of industrial plant for customers around the world, using specialist technologies and engineering expertise. “From managing full engineering, procurement and construction contracts and life extension strategies to the delivery of ad hoc maintenance, repair or inspection services, we have the capability, and it’s this that gives us our competitive edge. “We are also able to draw on the backing of the global Doosan Group, which allows us to deliver a true ‘one-stop shop’ package. A recent example of this in action is our LTMA with Tapco to provide essential maintenance and technical support services to the Taweelah B Power and Water Desalination Plant. This allows us to combine our OEM engineering, integrity management and mechanical maintenance expertise. Although the scope of works will be led by Doosan Babcock, technical expertise will also be provided by other members of the multi-disciplinary Doosan Group, including Doosan Heavy Industries and Construction’s Water Business Group and HRSG specialist Doosan Engineering and Construction,” Behan says. Doosan Babcock has significant experience in supporting its clients as their assets age and their condition needs to be carefully managed to improve plant reliability and efficiency. Recently, the company executed the refurbishment of fired heater units whereby its engineers conducted detailed condition assessment of the plant materials, developed complex repair methodologies, and successfully executed the repair and refurbishment on site. He also points out that as a global business, Doosan Babcock takes great care of corporate social responsibility (CSR). “Our UAE team participates in community days on a regular basis. For example, we recently took part in the ‘Water for Workers Programme’. The team visited several construction sites in Dubai providing some light refreshments to the workers, giving them the chance to take a deserved break in the heat of the day, and emphasising that their efforts are greatly valued by the community,” he says. Doosan Babcock has an established business in Qatar and has plans to penetrate the markets in the other GCC and Mena countries between 2016 and 2020. Its customers in the region include Gasco, Tapco, Emirates Steel, petrochemical giants such as BP, ConocoPhillips, ExxonMobil and INEOS, pharmaceutical clients such as GSK, and power generation/utilities names such as EDF Energy and E.ON. Employing around 4,000 staff, the group’s turnover in 2014 was £534 million ($762 million).